Disclaimer: I wrote this before the recent events in Beirut and Paris. I am aware that this is insignificant in comparison. I’m an early to bed, early to rise person. Although these days rising usually means getting up, feeding the cat, making coffee and toast and taking them back to bed. And with sunrise at roughly 5.45 a.m. and first light some twenty minutes earlier, coffee can be any time after that. 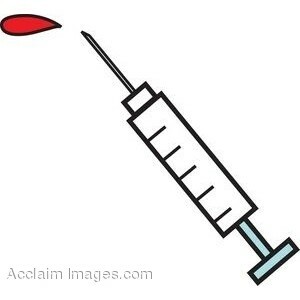 So when the doctor said it was time to do fasting blood tests my heart sank. Because I know from experience that the two hours between six and eight can seem endless when I am denied my toast and coffee. Usually when fasting blood tests are recommended, I procrastinate and procrastinate until the form is forgotten. But a neighbour had a stroke last week, giving our close community a scare, so I have decided that it is time to be responsible and accept that I am no longer a svelte forty-something with perfect health. With great resolve, I earmarked today as “Hunger Games” morning. Even though I had gone to bed later, I still woke with the light. Tempted as I was to follow my routine, I fed the cat, had a glass of water and returned to bed. Somehow I managed to shift myself into the zone you enter when you are travelling when time takes a completely different trajectory. I caught up with social media (restraining myself from making comments which may have been the result of hunger rather than logic) and played a few mind-numbing games until I decided that it was time to shower and begin my slow walk to the pathologist. I have learned from experience that the early arriver gets the short waiting time, so I aimed to be there at 7.45. I enjoy walking early in the morning and wonder why I don’t do it more often. The streets have a different feel as people are walking their dogs, running to the bus stop, hosing their gardens and shouting at their children to get in the car. I passed my favourite cafe, looked longingly at the espresso machine, but kept walking and arrived on schedule, only to find three people already outside the door. I asked one fellow if he was the end of the queue and he said “sort of” so I stood next to him and pulled out my book. A few pages later the crowd was growing, so being keen to keep my position in the pecking order, I moved closer to the door. Then a staff member arrived, the door was opened and we were instructed to take a number and wait. Once again the travel analogy sprung to mind as we jostled for prime locations in the rows of chairs. One by one our numbers were called, our paperwork was checked and we were asked if we were fasting – or, for the older Italians, “no brekkie?” The receptionist was good humoured and patient considering the early hour and the repetetive nature of her job. I reflect that most people who work in blood-collecting agencies seem pleasant, apart from the one who told my young daughter that she could not lie down: “people don’t faint for me.” Surprise, surprise she did, and they then had to spend twenty minutes feeding her sweet tea and jelly beans until they decided that I could take her home. The blood collectors began calling us – struggling with the names of people from different cultural backgrounds. In almost no time it was my turn, my ID was checked again, the blood was taken and I was on my way to breakfast (at the favourite cafe). I had survived two hours of hunger – a very first world, middle class ordeal. Hi Sally, I hope the blood tests are normal.